In part one of this two-part series, we define the meaning behind peak gold, examine the other times it has been declared and take a look at reasons why market watchers believe we are experiencing it once again. With gold prices dipping and production slowing, rumors that the yellow metal has reached its maximum level of global extraction have begun to swirl, causing market watchers to debate if mining for the metal has seen its best days or if there is still plenty to discover. Beyond the debate of whether or not gold production is currently at its highest level, it is also crucial to look at the other moments when it was thought to have peaked and the elements that led to it. In the first part of this two-part series, we will define what peak gold is, examine the other times it has been declared and take a look at reasons behind why market watchers believe we are experiencing it once again. Peak gold is the point in time where the metal has reached its highest level of production and in return it begins a terminal decline. This is to say, that if peak gold has been reached, then all major gold deposits have already been found and there is nothing left for miners to explore. 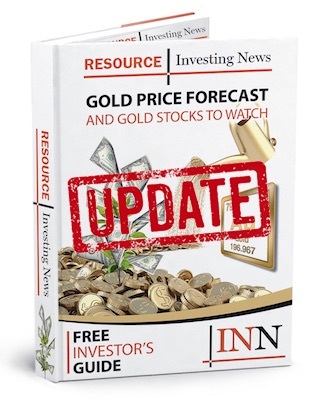 “It could be possible that we are now in the final gold peak seeing that gold is a mineral that has been exploited for millennials and all major deposits have likely been found,” Ricard Torné, lead economist at FocusEconomics, told the Investing News Network (INN). While the current idea of peak gold comes from the notion that there is simply no more new gold to be found, previous peaks have come from responses to the geopolitical landscape at the time and companies being forced to curtail their mining efforts. To understand the mechanisms behind the possible current threat of peak gold, it is important to evaluate the other times in the yellow metal’s history where it reach its peak. Global gold production met its highest levels before experiencing sharp declines in 1912, 1940, 1971 and 2001, with each peak coming in higher than the one before it. “After a peak in gold production near 1910-1912 gold production retreated and bottomed near 1920 with 500 metric tonnes. Just a few years earlier production was above 700 tonnes,” stated Roger Wiegand of Kitco News. Gold found its second peak in 1940 when its highs began to continually drop thanks to the effects of World War II. This peak however was caused by mining restrictions, which resulted in a deep decline of gold production rather than an inability to unearth new discoveries of the metal. In 1971, the third peak was underway when US President Richard Nixon took the dollar off the gold standard. Finally, the last peak that market watchers seem to agree on came in 2001. Of the 62 major discoveries made from 1997 to 2008, almost half were found in the first three years — from 1997 to 1999. “World gold output reached its record level in 2001, and has generally fallen since then,” stated Martin Mittelstaedt of the Globe and Mail. “There used to be discoveries of four or five a year. Now, there are maybe one, two max a year,” added John Ing, a mining analyst at Maison Placements Canada, who is another believer in peak gold. One of the major arguments behind the current peak gold rumours is the fact that while production of the yellow metal has risen year-on-year, it has only done so incrementally. In 2010, 2,744 metric tonnes of gold were produced globally, which is not much smaller than the 3,298 metric tonnes produced in 2017. In fact, last year’s production represents a less than a one percent year-over-year increase from the output of 3,274 metric tonnes in 2016. “Global gold supply flattened in 2017 compared to the previous year, breaking eight years of consecutive increases. This situation, coupled with the lack of “world-class” discoveries despite solid exploration budgets, prompted analysts to speculate about a reduction in gold supply in the coming years,” Torné told INN. According to Ian Telfer, chairman of Goldcorp (TSX:G,NYSE:GG), the bottom line is that there are no new mines out there, which equals no new large-scale discoveries to be found. “My answer is we found it all. At US$1,300 [per ounce of] gold, we found it all. I don’t think there are any more mines out there, or nothing significant. And the exploration records indicate that,” he stated. The argument of peak gold has also gained the support of the World Gold Council, which towards the end of last year noted that annual global gold production would not be able to exceed current levels in the future. In part two of this series, we will examine what peak gold could mean for the precious metal and its price within the market, the way in which gold production could potentially revolutionize and what that could mean for the industry as a whole.